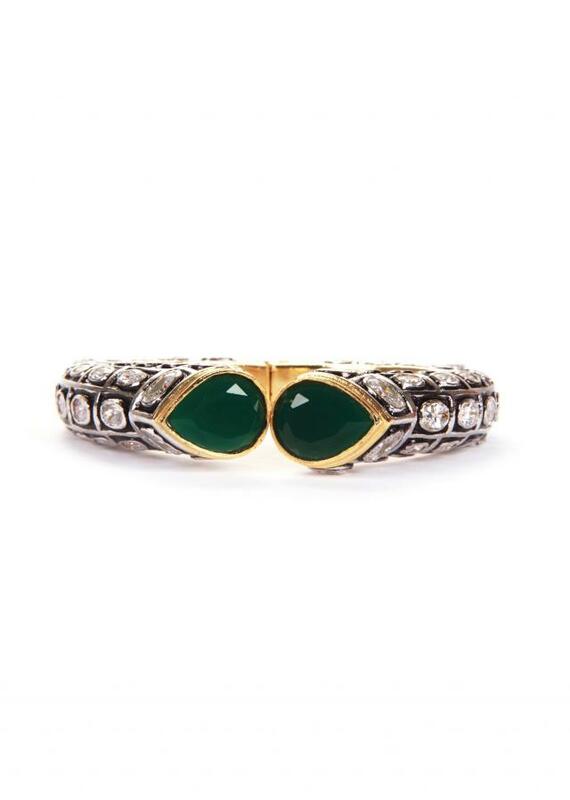 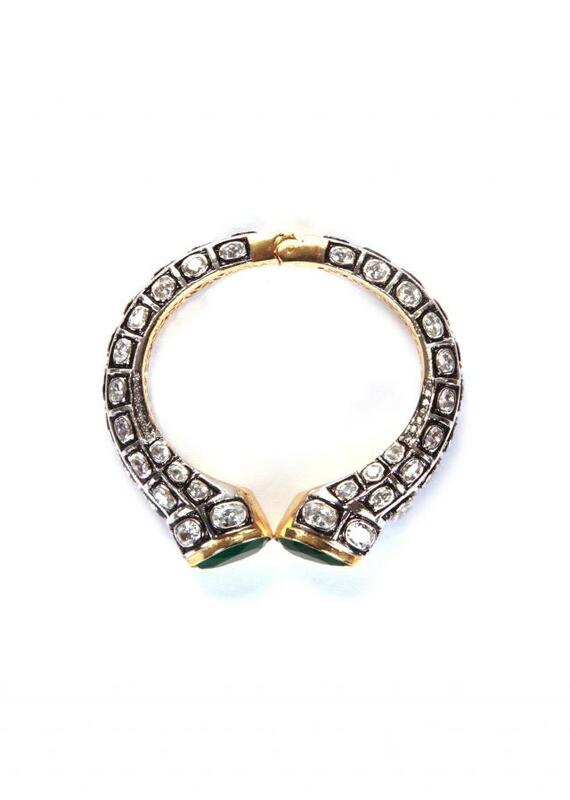 Meenakari Bracelet Studded with Green Quartz. 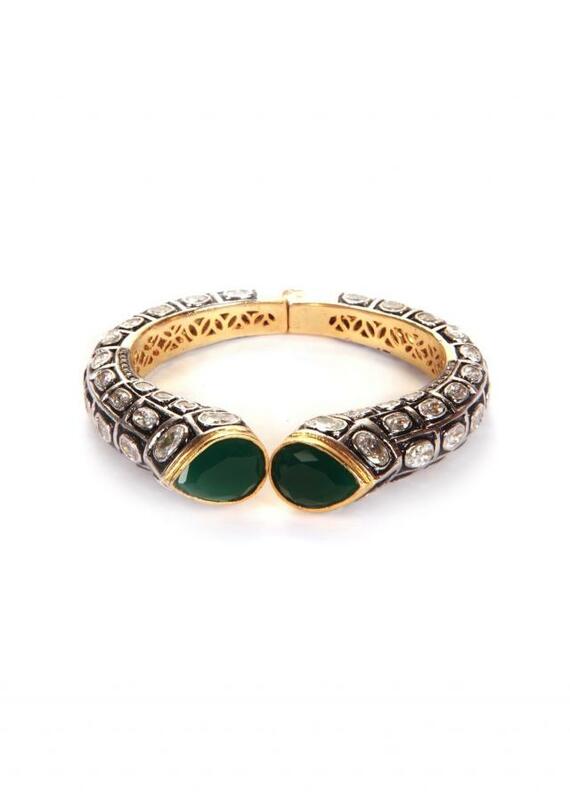 The classy ethnic style factor of this cuff bracelet makes it ideal for wearing at parties and weddings. 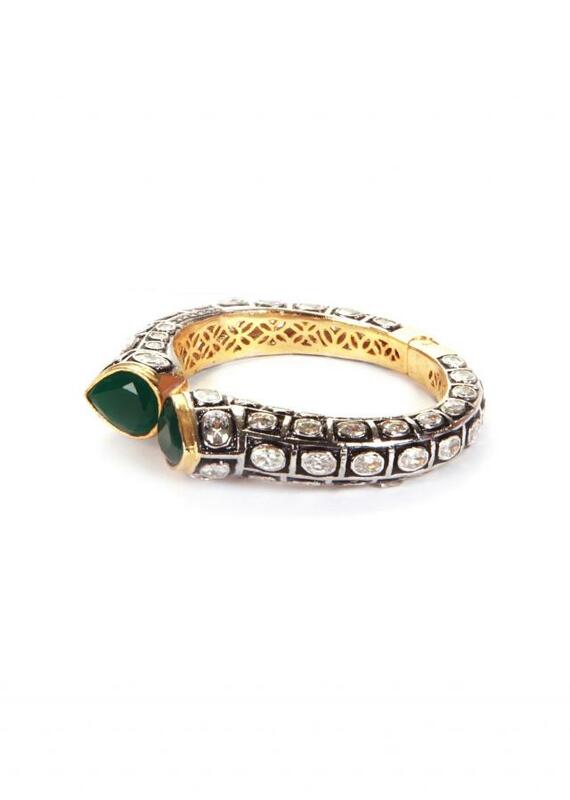 The traditional meenakari work is accompanied by deep green quartz stones.